With living snow-drops? circlet bright! How glorious to this orchard-ground! The shepherd-queen, were thus arrayed? Or old man toying with his age! Just then Sri Bhagwanâ€™s ringing voice exploded, â€œYou said â€˜stateâ€™ what do you mean by â€˜stateâ€™?â€� If a bombshell had exploded under me, it could not have been as shattering as this sudden counter question, most unexpectedly delivered. I felt I must answer him. I began to think: â€™Well, I did not ask him about the body which would be buried or burnt. There is something inside the body, the thinking apparatus, the so-called mind; it is about this I asked. Now if I say that the question is about the state of the mind, he will naturally ask me to define mind, and so I must have the answer ready for such a question.â€™ So within myself I raised the enquiry â€˜What is mind?â€™ But alas! No answer was forthcoming; my mind was paralysed, its thought power dead! Like a helpless mute I sat. Just then, there was a fierce glow in Sri Bhagwanâ€™s eyes which held my eyes in a tight grip; a radiant smile of victory spread over His divine face. I lost sense of body and world, the insignificant I that I was, being swallowed up in pure Awareness-Being I which all name, form, time, space and action were utterly lost, in a state of utter silence aglow with Self-effulgent I-am-I-amâ€¦. without beginning or end. Recovering consciousness of body and surroundings, with the inner glow still effulgent, there was no more any question to be asked or answered. Revelling in the joy of that thrilling defeat, I quickly prostrated and made a headlong flight. Dear sir, I have read Sri Wolter Kierâ€™s account of transformation, brought about by Sri Bhagwanâ€™s gaze on him, in his own words. Ji. Yes. His Gaze of Grace melts the minds of His devotees and makes them into pure sattava by removing the dirt and the dark soot and thus enables the purified minds to turn within and do Self-enquiry, culminating in Self-abidance. This is the meaning and significance of the true â€˜Darshanâ€™. If one is graced to come within the ambit of Guruâ€™s Gaze of Grace, questions and doubts vanish as Sri Iyer in the above quotes, Sri Paul Brunton, Sri Wolter Kier, and many others, have joyously narrated their experiences. GURU AND SELF ARE ONE AND THE SAME. BEING SADGURU OF THE AGE, HE IS EVER PRESENT AS THE SELF WITHIN AND AS ALL ENCOPASSIG EXISTENCE-CONSCIOUSNESS. THEREFORE, HIS PRESENCE CAN ALWAYS BE INVOKED AT ALL TIMES AND AT ALL PLACES BY ANYONE WHO HAS FAITH. FAITH IS THE MANIFESTATION OF GRACE. THEREFORE, HIS GAZE OF GRACE IS AVAILABLE FOR ONE WHO IS CHOSEN, TRANSCENDING TIME AND PLACE. Love for Him and His Teaching of Supremely Direct Path are ample proof of the manifestation of His Grace. GRACEâ€™S GAZE IS UPON THEM, FOR SUREâ€”STEADILY. Yes. I remember this beautiful song by the phrase â€˜coronet of snow-dropsâ€™. Who fancied what a pretty sight that this rock would be if it is edged around with snow-drops? 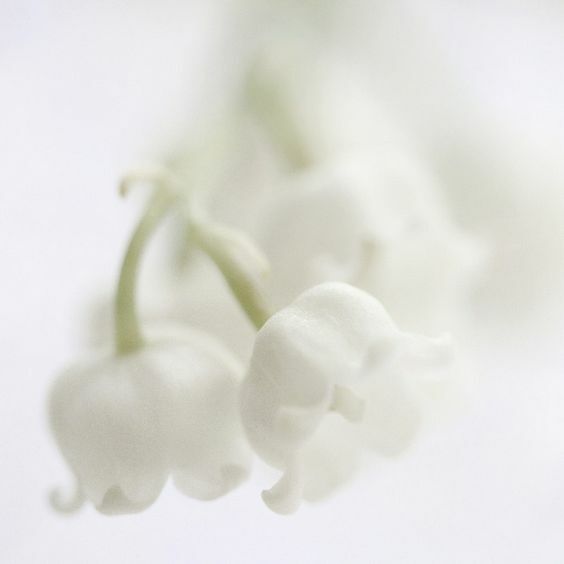 WHO LOVED THIS LITTLE ROCK, AND SET UPON ITS HEAD THIS CORONET OF SNOW-DROPS ? IT IS HE WHO GIVES ALL THE SELF-SAME BENT. Such a wonderful poem. I have read it already,and it is truly inspirative and heart thouching. So beautifuly expressed,and so sweet idea and the thoughts which carry it. It always left me in state of wonder and drunkenenness,reminding me on my own impressons watching such a pretty sight indeed. I am also deeply thouched with Your post,answer to Sri Subramanian. It was like that in my own case. Only look on Bhagavan has made me mad after this path. His gaze is verily one spiritual sadhana itself. So much Power and Grace in that Beautiful,Gentle,completely owerpowering,sweet look of Bliss. Whille watching Him,i have impression that He is with me,answering in His Silent way. And it really Is. Ever Present,ever with us,and in us. Our Sadguru,our true Self. Such is the Glory of our Father Bhagavan Ramana. Thank You Very much,my dear Sri Anil! Yes. This is beautiful. You are, dear friend, among the graced ones who recognise the deathlessness, the immortality of Sadguru Bhagwan Sri Ramana. For, only by recognising and having single-mined faith in this truth, one can have conviction in the certainty of His continued Presence and realise and experience It as you do. It is for this reason that Sri Bhagwan stressed time and again that God, Guru, Self, Grace, Bliss and Love are all synonymous , eternal and immanent AND THAT HE IS NOT THE BODY. 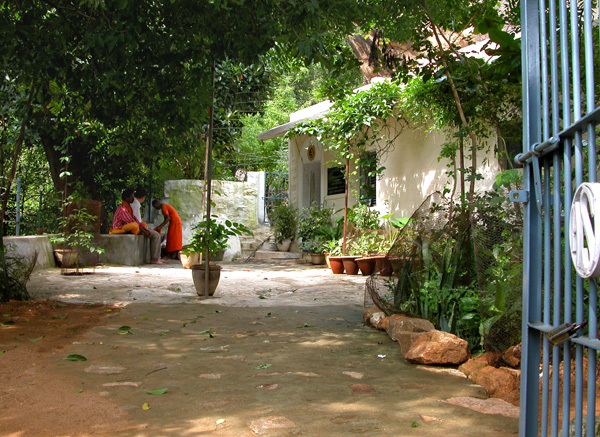 Therefore, in my view, it is a great misnomer to think that with the â€˜the shedding off the mortal coilâ€™, the spiritual Guidance will cease and it is ridiculous to think that bodyâ€™s end is the cut-off point in anyway in the relationship between the Sadguru and devotees who are coming to Him, overwhelmed with Love for Him and His Teaching. HE IS FIRMLY ESTABLISHED IN THE HEARTS OF HIS ADORING DEVOTEES AS THE SELF AND THEREFORE HIS SPIRITUAL MINISTRATION CONTINUES, AND, I AM SURE, IS ON, AND IT WOUD GO ON AND ON. His Grace is showering and envelops and fills oneâ€™s being with love and bliss, as is obvious from your above quotes. SURELY, HIS ADVENT is not and cannot be CONFINED TO the limits of TIME AND PLACES. My dear, dear friend, Sri Bhagwan is timeless and His Teaching bears the stamp of eternity. It is not for nothing that Sri Bhagwan allowed photographers freedom to capture His Physical Presence, while in body, as they wished. THAT IS ALSO THE ACT OF GRACE. For, these photographs of Sri Bhagwan are not mere photographs, but fully alive and are undoubtedly capable of transmitting Power as His Gaze used to do in the past. What is needed is a little love kindled for Him and His Path in the heart, and His Gaze of Grace would work wonders. Sometimes gentle, sometimes smiling, sometimes stern, His Presence, is always radiating the Power of the Self, which has a silent compelling attraction, which cannot be explained. The magical four syllables SRI RA-MA-NA are there surely for all times as Names, such as Sri Krishna, Sri Rama, Sri Budha, Sri Jesus Christ, etc. Being Sadguru of the age, His Charm and Appeal can never diminish, but on the contrary, are growing more and more, as is obvious from the more and more hearts He is drawing by His magnetic spiritual power. Dear friend, whether we realise it or not, we are lost in the vastness of Bhagwan Sri Ramana. Guru and God who is the Self incarnate, is working from within and guiding us on the right Path, making the mind vibrantly silent immersing it steadily in the Self, sweetening our lives with Grace and Bliss which is nothing but Love, True Love, in which there is no â€˜Iâ€™, Youâ€™, etc., but only the Self, the Being. Thanks very much, my dear friend. Blessed are those who have seen and believe but more blessed are those who have not seen and believe. This simple and direct Teaching is like a tonic to may seekers. It sweeps away the unrest and confusions that keep haunting the mind. However, when one is first exposed to the Direct path, one is euphoric and feels that the Self-realisation is very easy, just as Sri Bhagwan sang in the poem â€˜Atma-Vidyaâ€”Lo! Self-realisation is very easyâ€™. Sri Bhagwan: Yes, yes. It seems so at first, but there is difficulty too. You have to overcome your present false values and wrong identification. Therefore, the quest requires concentrated effort and steadfast abidance in the Source WHEN THAT IS REACHED. But the above statement is not meant to deter us. For, Sri Bhagwan says that the very rise of the urge to seek for the â€˜Iâ€™ is itself an act of Divine Grace. Once this urge gets hold of us, we are in its clutches. And the famous assurance is there in place: The grip of Divine Grace never relaxes and it finally devours you, just as the prey in a tigerâ€™s jaw is never allowed to escape. Dear devotees, when Sri Bhagwan gave the assurance that His Guidance and Contact will continue as before even after His form has vanished, that is, beyond doubt, a reality. God, Guru and Self being one and the same, the Sad-Guru is within, always abiding in the profound depth of the Heart as the Self. All spiritual practices are meant only to remove the ignorant idea that He is outside, that we are separate from the Self so that we may discover in the end first intellectually and then as the living truth that the seeker himself was never anything else but That which he was seeking with so much effort. Dear devotees, I wish to say that effort is therefore seemingly unnecessary. BUT THIS SEEMINGLY UNNECESSARY EFFORT IS A VITAL AND NECESSARY CONDITION IN ONEâ€™S SADHANA TILL IT BECOMES EFFORTLESS. SRI BHAGWAN, THE SAD-GURUFOR WHOM THERE IS NO EFFORT AS WELL AS NO â€˜OTHERNESSâ€™, NEVERTHELESS HIMSELF HAS STRESSED THIS CONDITION FOR THE SEEKERS. Therefore, even as Grace is the primary cause and is ever present, for the Grace is the Self and therefore we are never out of its operation, we must understand that effort on our part is necessary. And Sri Bhagwan assures, â€œEARNEST EFFORT NEVER FAILS.â€� So, Sadguru or Self, or Grace, or Bliss, or, Love, is the Real Eternal Spring dammed by our ignorance, predispositions, concepts etc. As soon as we effect and bring about subsidence or merger of the mind into its Source, Grace wells up and rushes forth spouting as from a spring, FROM WITHIN US. What is needed is to realise the unreality of the obstruction by steadfast right effort. HE IS THE ETERNAL ALL-SUFFICIENT GURU. THOSE WHO TURN TO HIM AND FOLLOW HIS TEACHING BY THE ENQUIRY â€˜WHO AM I?â€™ OR SURRENDER OR BY ANY OTHER PATH INDICATED BY HIM ACCORDING TO THE APTITUDE OF THE SEEKER, WILL FIND HIM EVER-PRESENT, EVER-WATCHFUL, EVER-GUIDING AS BEFORE. NAY, SOME SAY THAT IT IS EASIER THAN BEFORE. I have shown the way. You must now be able to follow it up and find peace wherever you are. And thine ears shall hear a word behind thee, saying, This [is] the way, walk ye in it.. The onus is upon us to walk the way. What causes hindrances in walking along ought to be renounced and what may facilitate our walking ought to be absorbed. In my view, remaining glued to T.V., or remaining on the look-out for fascinating videos, etc., and obsession to computer and net are undoubtedly distracting, and therefore shunning these activities are highly desirable for an earnest seeker. But trying to avoid or suppress oneâ€™s desires and interests forcibly will be counter-productive. When one even intellectually understands that what one is seekingâ€”happiness, bliss and Loveâ€”is verily oneâ€™s Real Self, that is, oneself, and keeps attending to the Atma-swarupa, like the needle of the compass which always points to the north, one is certain to make progress on the spiritual path. And these interests and hobbies will drop of their own accord in proportion to the progress achieved. Therefore, injunctions, such as, â€˜do thisâ€™ or â€˜donâ€™t do thatâ€™, imposed from without, will not work. IT COMES AND MUST COME FROM WITHIN TO BE MEANINGFUL. That is also the sure sign of oneâ€™s progress on the spiritual path. I completely agree with You. All what You have said is absolutely correct. To worry and force such thing on self is very unnecessary and contraproductive. Everything will come by itself. I stoped watching television for the simple reason,it doasnt hold my attention anymore,and i am not interested. But i never forced it,or anything else. If we make so much effort in these things,why dont we insted put some effort in doing sadhana,eg. Selfinquiry. Then all which us needed to happen,or to be dropped,will drop by itself. Like You said,it is only meaningful when it comes from within. Thank You Very much,my dear friend! Devotee: In the lives of western mystics we find descriptions of what is called the mystic way with the three well marked stages of purgation, illumination and union. The purgatory stage corresponds to what we call the sadhnana period. Was there any such period in the life of Bhagwan ? Sri Bhagwan: I know no such period. I never performed any pranayama or japa. I knew no mantras. I had no idea of meditation or contemplation. Even when I came to hear of such things later they never attracted me. Even now my mind refuses to pay any attention to them. Sadhana implies an object to be gained and the means of gaining it. What is there to be gained which we do not already possess? In meditation, concentration and contemplation, what we have to do is only not to think of anything, but to be still. This natural State is given many names moksha, jnana, Atma, etc., and these give rise to many controversies. There was a time when I used to remain with my eyses closed. That does not mean I was practicing any sadhana then. Even now I sometimes remain with my eyes closed. If people choose to say that I am doing some sadhana at the moment, let them say so, it makes no difference to me. People seem to think that by practicing some elaborate sadhana the Self would some day descend upon them as something very big and with tremendous glory and they would then have what is called â€˜sakshatkaramâ€™. The Self is â€˜sakshatâ€™, all right, but there is no karam or kritam about it. The word karam implies oneâ€™s doing something. But the Self is realised not by oneâ€™s doing something, but by oneâ€™s refraining from doing anything, by remaining still and being simply what one really is. Above Statement was delivered with such vehemence by Sri Bhagwan in theâ€™ Hall of Silenceâ€™ that the audience assembled was astonished. The above Statement was published in an English Journal under the caption â€˜Nastyakritah kritenaâ€™ which means that what is Uncreated cannot be gained by anything that one can do. Self is simple BE-ING. Therefore, the sadhana that Sri Bhagwan revealed and enjoined is not doing anything but being. Sadhana of the Atma-Vichara is being the Self, that is, remaining or abiding as the Self. That is why Sri Bhagwan time and again stressed that the real Vichara is the inner quest when one is already off the mental movement. I must add here that even if the Self-attention is broken, regaining that Self- attention is being the Self. Thus the sadhana of the Vichara is not doing but being till the very end, that is, Self-awareness. That alone is the correct sadhana. I wish to say here that that even this sadhana is illusory which is there only to end for once and all the illusory forgetfulness of the illusory ego-mind, the primary ignorance WHICH IN TRUTH IS NOT, for the Reality of True Life of the Self and Existence to shine forth unobstructed. However, the illusion of snake will go away by actually seeing by proper investigation that no, it is a mere rope. Dear friend, when the ego-mind which wanders outside and knows only other objects, second or third persons, begins to attend to its own nature and partake the bliss of the Natural State, all other objects, interests and hobbies will disappear of their own accord, for by experiencing its True Nature, the Self, the pseudo â€˜Iâ€™ will also die. Sri Bhagwan said that attending to the first person is equal to committing suicide. THEREFORE, PSEUDO ENJOYER MUST GO AWAY TO PUT AN END TO ALL SORTS OF ILLUSORY ENJOYMENTS. This alone is the right way. Here, i would like to highlight that the efforts taken on the part of the sadhaka in the macro or what we call external discipline such as avoiding any such enjoyments that causes the enjoyer to remain, therefor avoiding watching tv is killing of enjoyer, taking proactive steps to kill the enjoyer which feeds on such an external activity also is same as striving to be still, ultimately. Therefore, i felt certain external changes may be necessary for majority of sadhakas, they are all the same ultimately. Time and again we come across the statement that self-enquiry is not doing but being,etc.The simple thing to be borne in my mind is that any sadhana is 'doing' only and not 'being'. In this question, â€˜Who am I?â€™, â€˜I amâ€™ denotes Self and â€˜whoâ€™ stands for the enquiry. This is not, in my opinion, what Bhagavan said and taught. Bhagavan taught that the 'I' we are enquiring into is the individual 'I', not the Self. When you do the enquiry, you hold onto the feeling of 'I', which is the subjective awareness of individual identity. If the practice is done well, the individual 'I' subsides and disappears, leaving Self alone. I spoke to Sadhu Om about this in the early 1980s and he defended his views by saying, 'There is only one "I", and that is the Self'. The implication seemed to be that holding on to the Self constituted self-enquiry or self-attention. I didn't agree then and I don't agree now. One cannot hold onto the Self without first removing the obstacle to a direct awareness of it - that is the 'I'-thought. By questioning its nature, by looking for its origin, or simply by being aware of it continuously, one causes it to subside and vanish. Bhagavan said that the Self does not need to be enquired into. All that is required is to remove its coverings through an enquiry into the nature and origin of the false entity that is covering it up. Anything done by the Ego is doing only.To permit Gross movements(sense enjoyments) of the Ego to continue and to go after the subtle ego and questioning its reality is likeunto ignoring daylight robbery while trying to catch a supposed thief in the dark.There is a clear contradiction here. It is totally correct that all these activities are unnecessary,and if someone can leave them,and stay firm,then great. If You can that is exellent. But,in my own case,and how much i understood nature of the mind,this is quite impossible. No matter what is done,it is bound to come back again. It is the nature of mind. The point is,not to cut the branchess of the tree endlesly,but to cut the tree. It is simple. If someone want to cut the branchess,then go ahead,You know what is best for You. To me,personaly that is impossible,and people who can do it,are by birth capable of such thing,disspasionate,and in that way disciplined,better to say,their attachment is very weak from the begining. Peoplle who master senses by simple firm decision. In the end,what will someone do is up to him.